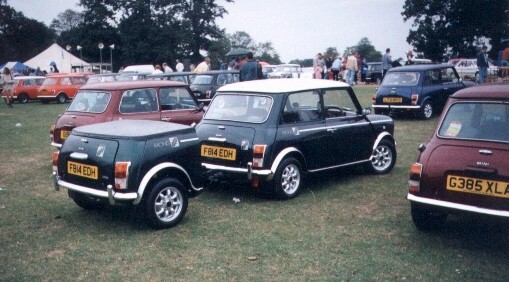 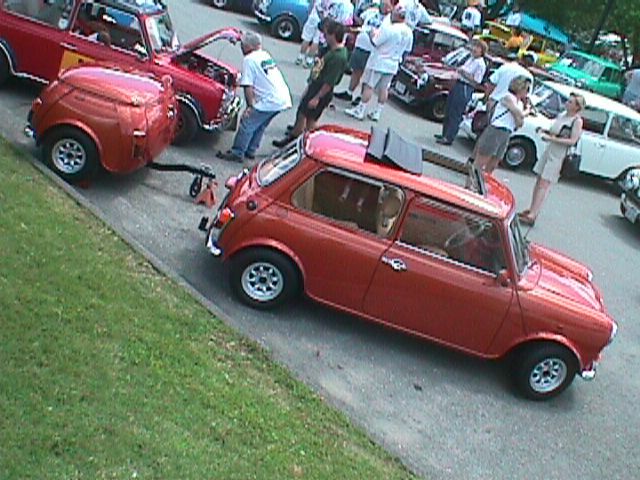 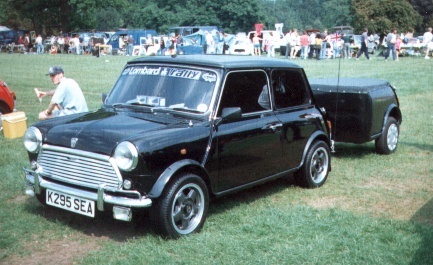 This is a picture of David Piacentini next to the infamous 'Mack Mini'. 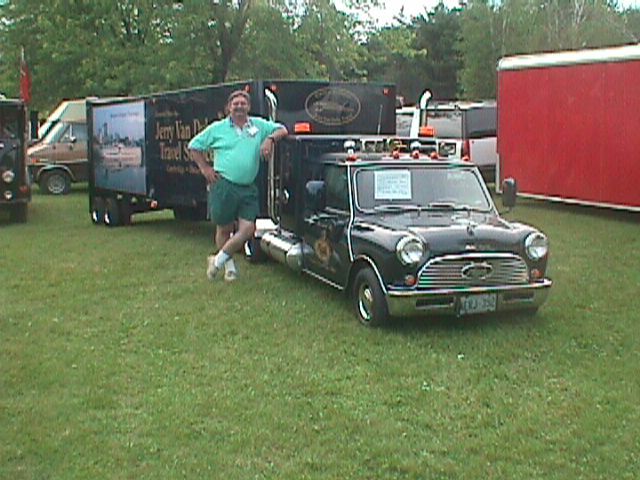 As there are no 'decent' pix of his own Minis yet they will be featured here at a later date. 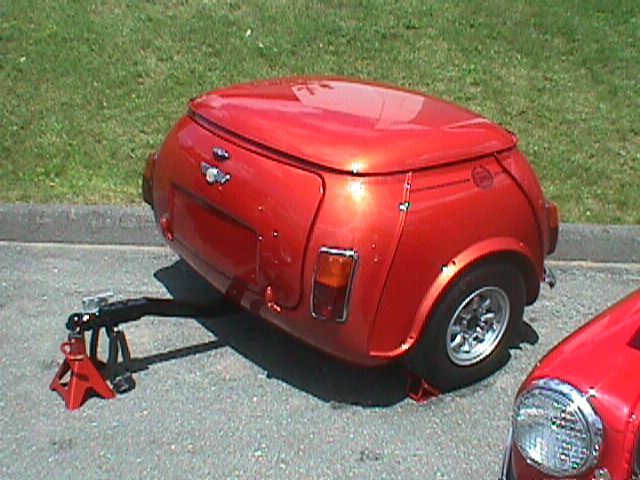 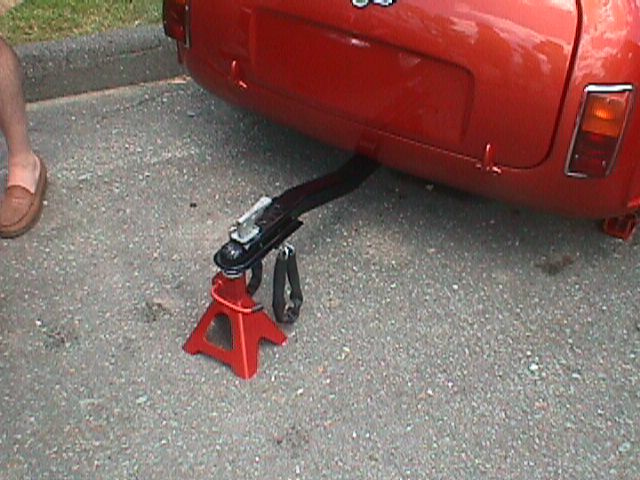 At the time of this writing David is considering building a Mini trailer, using the pix below as examples of what could be done. 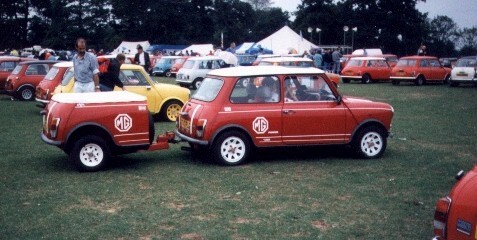 Especially the Cooper trailer is too his liking.